Couple of weeks ago we received our soap box of the month from Savon Box in the mail. As my personal move towards natural products and becoming more aware of what is going on my skin and thus into my body, this came at a great time. Savon Box is a monthly subscription box service. If you venture onto the Savon Box site and head over to their about section, you will learn that this isn't just another handmade soap company. This is a story of a woman who has been on a journey and struggle regarding soaps and her skin - which inspired her to create her own. 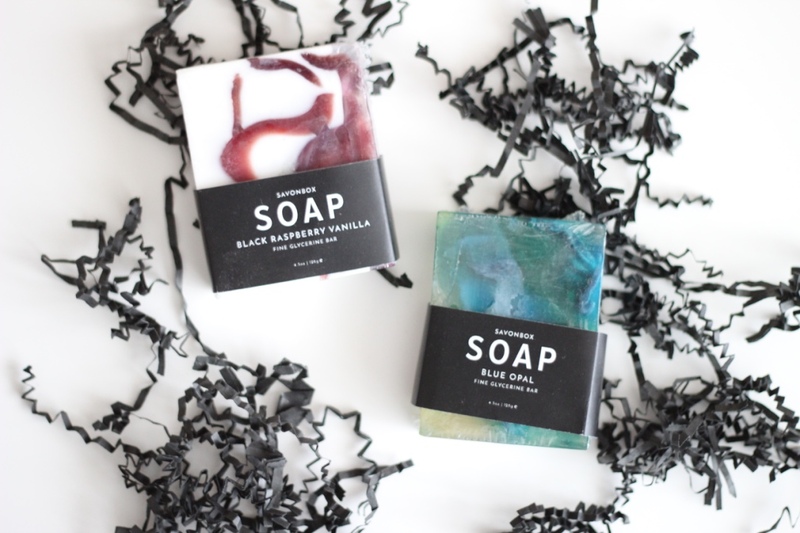 We received Savon Box Black Raspberry Vanilla and the Blue Opal Bar. 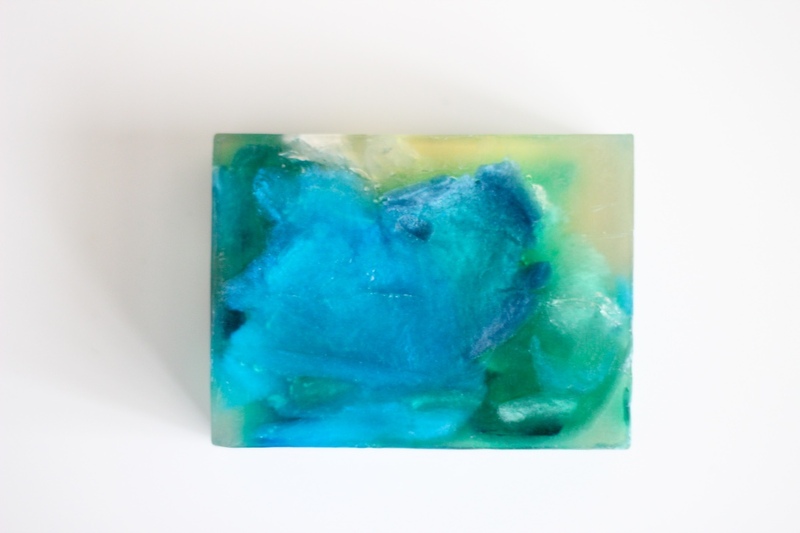 Both of these soap bars are handcrafted and beautiful to look at! 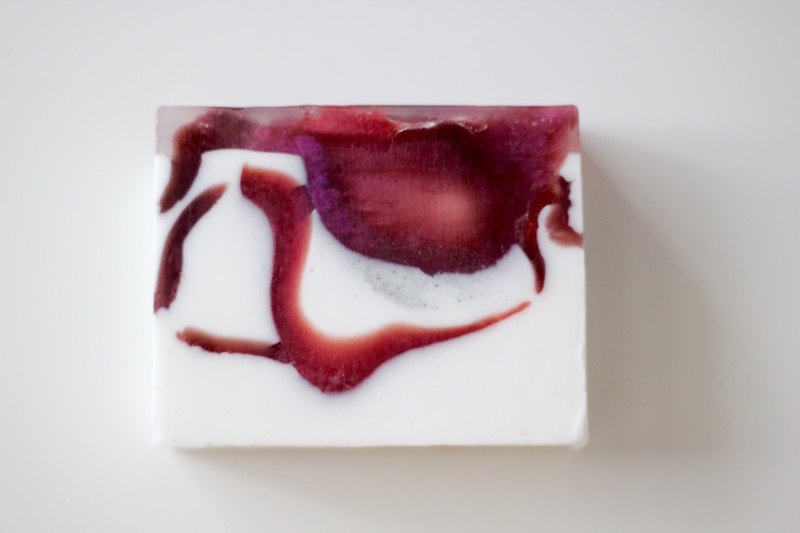 Black Raspberry Vanilla - "This bar has a burst of fresh black raspberry with the soothing warmth of vanilla undertones" Raspberry is a known aphrodisiac, and vanilla inspires love"
Blue Opal Bar - "This bar is a fragrance of joy, the essence of a sunny, happy morning. Fresh apple, plums and bergamot as top notes proceed into the floral heart composed of freesia, lily, rose and morning orchid with an Amber." What was great about both the Savon Box soap bars was that they were really nice on the skin - not too harsh. Thus it didn't leave your skin dry and irritated. The fragrance being natural was refreshing and not overpowering. Both of the bars came packaged in a plastic wrap. The package also came with a piece of paper with a description of each bar. How fun would it be to receive a monthly package? Disclosure: We received a the Savon Box December subscription box Care of Savon Box in exchange for an honest review. I did not receive any compensation for this post and all opinions are my own.